All over the U.S. hardworking people are getting ready for the dreaded April 15th tax deadline. 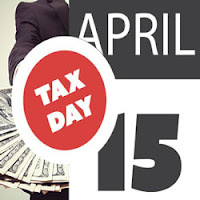 This year to ease the pain of handing over your hard earned cash, Intertops Poker and Juicy Stakes Casino are holding a special Tax Day Poker Tournament and guaranteeing a $1500 prize pool. The buy-in for the final is just $12, or win your way there with $3 satellites which start Monday. More information available at Intertops Poker and Juicy Stakes Casino.